Conventional wisdom says that if you use a third party application to publish to your Facebook Page, you will be negatively impacted by Facebook EdgeRank. I’m always open to questioning conventional wisdom. EdgeRank Checker first made the claim in September of 2011. Facebook, who claimed the impact was unintentional, said they fixed the bug in November. Finally, Hubspot then reported in April of this year that posts made with third party apps receive 67% fewer likes. Hell, even I’ve said multiple times that you shouldn’t use third party apps. It’s one reason I was so excited when Facebook made scheduling natively possible. But then Emeric Ernoult showed me this study that he performed earlier this month that makes me wonder if all of these claims are currently true. They may have been true at one time, but the results of his experiment give me pause. Of course, some full disclosure is necessary here. Emeric is the founder of AgoraPulse, one of my new favorite tools. AgoraPulse is an application with many benefits, one of which being that it allows you to better manage your publishing to Facebook. In other words, Emeric has a deep seeded bias. That said, his report deserves attention, and I’ll be performing my own study to see if my results will support it. The results? The photo published through AgoraPulse in the first test reached 35% more people than the photo published through Facebook. In the second test, the reach was nearly identical. Now, I’m not one to use a small sample size to make grand statements. Remember, we’re looking at only four total posts made here. There are far too many factors that go into your reach. Some factors include the copy, the photo, the day and time, competition for views and simply the people online at the time. And we certainly can’t discount the source here. While the posts are nearly identical in every way, AgoraPulse obviously wants a particular result. Still… No one was out to claim that posting to a third party app would give you greater reach. Even though that happened here, it’s not the point. The goal was to prove that there is not this significant punishment (67% as reported in April) when publishing from a third party app. In that sense, the study was successful. Something needs to be said about some third party apps and the way in which they are used. Many Facebook admins use them to publish RSS feeds, and the formatting from some of these apps is dreadful. It’s obvious that the post is coming from a third party app. It looks bad, it’s clearly automated and the person publishing doesn’t come back to interact. 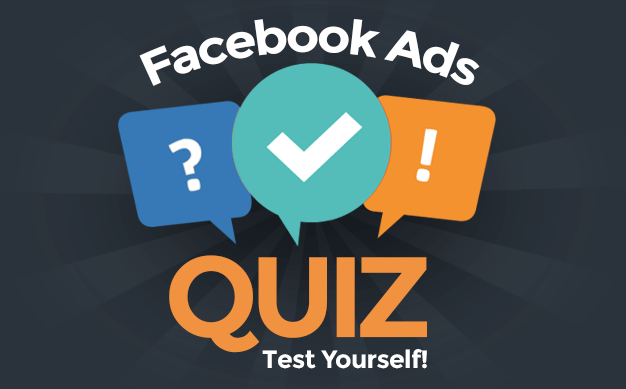 In many cases, the negative results of third party apps has nothing to do with the content being punished by Facebook EdgeRank, but instead that such content often doesn’t follow best practices and is more likely to fail. 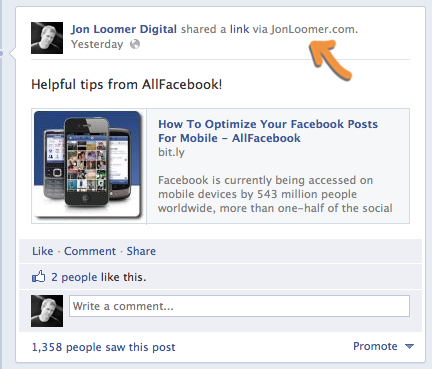 The only visible difference between this post and one made through Facebook is the link “via JonLoomer.com.” This is a customization that AgoraPulse allows. But otherwise, it looks like a Facebook post in every way. So that helps eliminate formatting from the equation when talking about reach of posts. If there is a difference, it’s likely due to EdgeRank. I want to see more. I need to see a greater sample size. More than anything, I need personal experience to convince me one way or the other. I am a Facebook purist. Until now, I’ve always published directly through Facebook. But to help provide some clarity on this issue, I will begin posting from both Facebook and AgoraPulse over the coming weeks. I do this with full understanding that my results still aren’t enough to make any grand proclamations. I have an audience of 5,000 people, and even if my study covers a month it will be a relatively small sample size with weaknesses. I simply can’t perfectly replicate the conditions I publish from Facebook and AgoraPulse to produce any groundbreaking results. That said, if after a month I notice no difference in reach between posts from the two sources, there will be at least one less person spouting off about how you shouldn’t use third party apps to publish to Facebook. How about you? 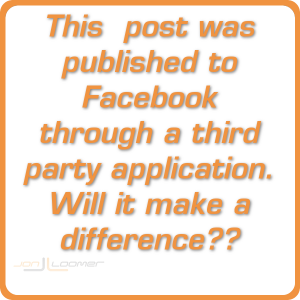 Have you ever used third party apps to publish to Facebook? What results do you see?